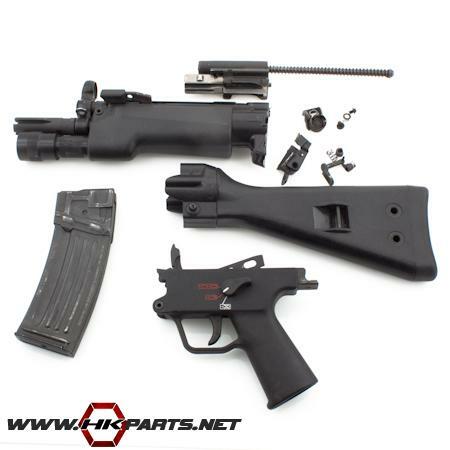 Be sure to check out the HK 53 A2, A3 Parts Kits we offer on our website! These kits are complete minus the de-milled receiver. Each kit includes a barrel, trigger group, forearm, and flash hider (the A3 kit comes with a stock as well). HK German Factory 53 parts kits are hard to find, and we only have a small number of each of these available.